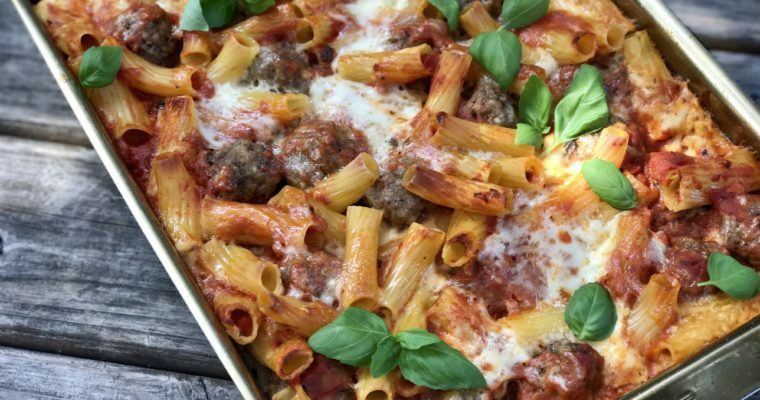 I credit Mario Batali for the inspiration behind this simple tomato sauce. Batali, one of the most respected and recognized chefs worldwide, gained recognition early on for his focus on simplicity and using quality, fresh local ingredients. I had the pleasure of meeting Batali many years ago when I was in culinary school. He was incredibly humble, approachable and all-around lovely. Babbo, on Waverly Place in New York City, remains one of my favorite fine dining restaurants of all time. 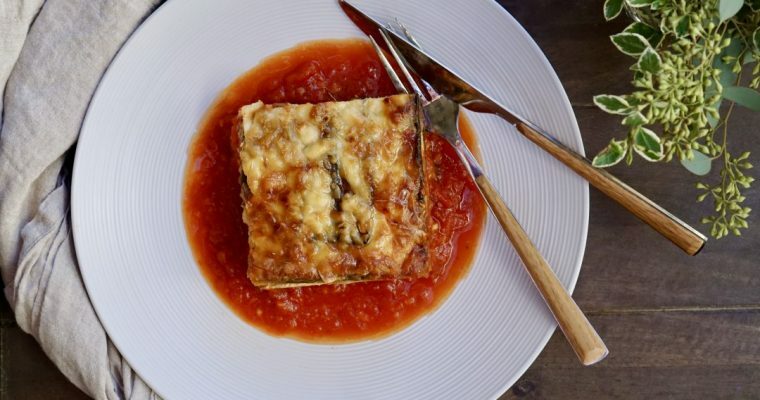 A collaboration between Batali and Joe Bastianich, Babbo was given a 3-star review in 1998 by Ruth Reichl of the New York Times shortly after its opening and has become a landmark in New York ever since. Similar to Batali, I prefer a simple and pure tomato sauce. 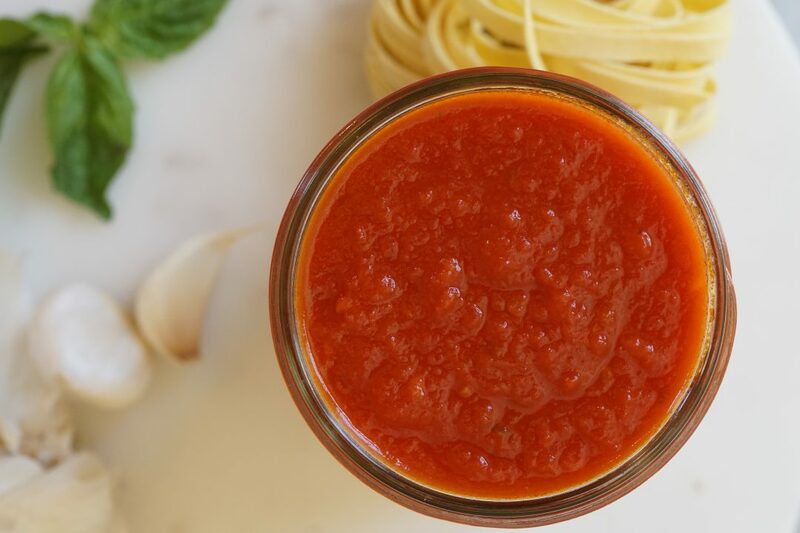 This sauce is extremely versatile, and can be used for almost any Italian recipe. 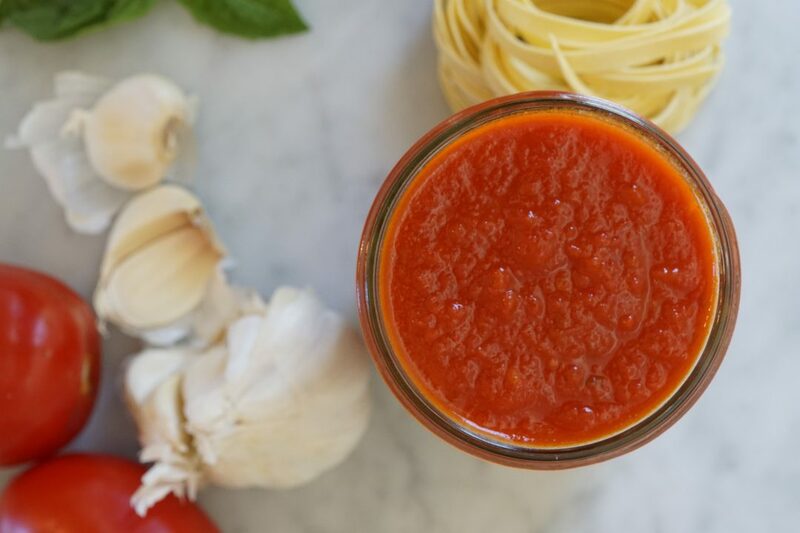 Made a day or two in advance or frozen for future use, this sauce holds up without losing flavor. 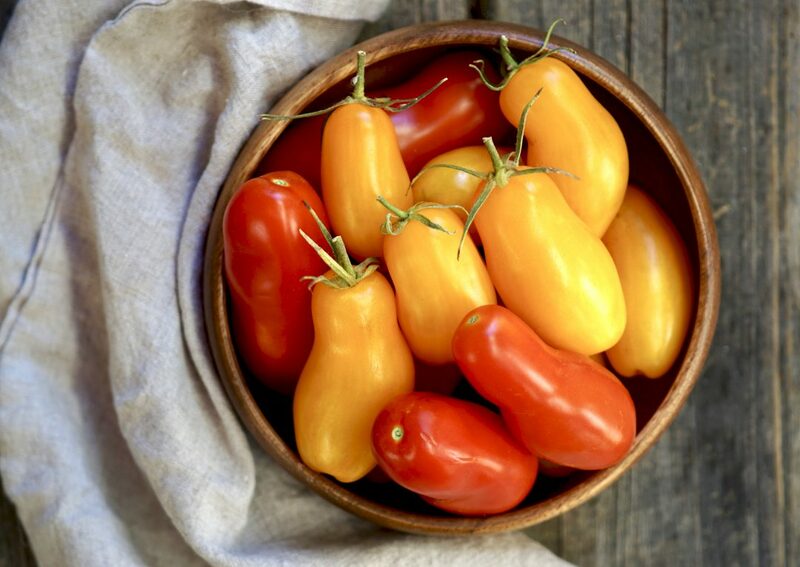 In the summer, during peak tomato season, try using fresh tomatoes for maximum flavor. Step 1 Place a 3-quart saucepan over medium high heat. Step 2 Add the olive oil. When hot, but not smoking, add the onion and garlic and sauté until soft and just beginning to brown, about 5-6 minutes. Step 3 Add the carrot and celery and cook for another 5 minutes. Step 4 Add the tomatoes and their juice and bring to a boil, stirring occasionally. Step 5 Once boiling, lower the heat, cover and simmer for about 30 minutes, until the sauce begins to thicken. Step 6 Remove from the heat and let cool slightly. Step 7 When cool enough to handle, place the sauce in the bowl of a Cuisinart mixer with a standard chopping blade attachment. Purée the sauce for about 1 minute until smooth and slightly orange in color. Step 8 Remove from the mixer and season with salt to taste. Hi Dean. Thanks for your note. Good for you for learning how to cook, I hope you have been enjoying the process. Thanks for following, much appreciated. For canned tomatoes I love San Marzano tomatoes. A bit more expensive, but well worth it, especially when making a homemade tomato sauce. Can’t wait to try this sauce! I think Caden will love it.